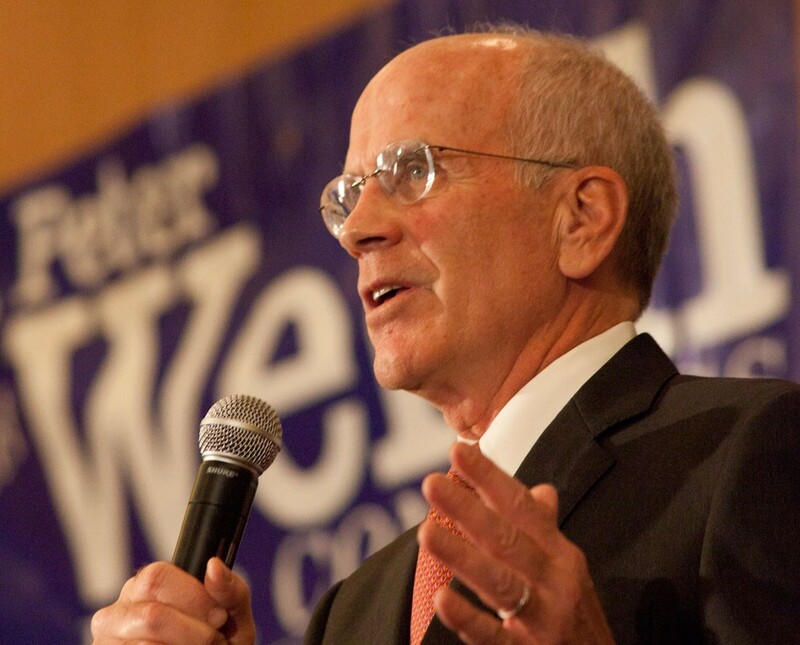 Congressman Peter Welch (D-Vt.) unfroze Vermont’s gubernatorial race Friday by announcing he will run instead for a sixth term in Congress in 2016. The 68-year-old Norwich resident had been contemplating a run for the state’s top political job since Gov. Peter Shumlin, a fellow Democrat, announced June 8 that he would not seek reelection next year. Acknowledging the congressman’s seniority and political prowess, other potential Democratic candidates had been awaiting Welch’s decision to make their own. After discussing the matter with his wife, Public Service Board member Margaret Cheney, and close friends, Welch said he had decided to stay put. The second question Welch said he pondered was “the personal question” of whether he wanted to spend more time in his home state than in Washington, D.C.
“Vermont’s a wonderful place to be, and one of the downsides of my job is that I have to do it here in Washington,” he said. Welch said he wasn’t scared off by the notion of a contested election, nor the difficulties of serving as governor. While Welch’s decision will likely open up the gubernatorial race to a wider field, at least one top Republican said Friday it would have no bearing on his own decision. "I'm going to go through the summer figuring this out," said Lt. Gov. Phil Scott, Vermont's sole Republican officeholder elected statewide. "Through the summer to me means you have to get beyond Labor Day." Scott said Welch's move doesn't make the race any less difficult for potential Republican candidates. "I think there will be a strong contingent of Democrats that will step in,” he said. “I don't think that it'll make it easier." Democrats who had been yielding to Welch weren't ready to declare their own candidacies Friday, though they hinted they wouldn't delay for too long. "I am still seriously considering running for governor," said House Speaker Shap Smith (D-Morristown). "I expect to have an announcement soon." Smith said the decision now moves from the theoretical to the real for his family, including his wife and two school-age children. "It's important for us to have those final conversations in our family." Former state senator Matt Dunne of Hartland, who finished fourth in a five-way Democratic gubernatorial primary in 2010, said he'll be having those same conversations with his wife and three young children. "Running for governor is a big deal," Dunne said. "Having done it before, I know you don't do it alone. You do it with your family fully behind you and with a community of people." Dunne, who's known Welch since he was a kid and served with him in the state Senate, said he received a note Friday morning from Welch telling him about his decision and thanking him for his patience. Doug Racine of Richmond, a former state senator and lieutenant governor who came in a close second to Shumlin in the 2010 Democratic primary for governor, said Friday he is considering running again. "I was encouraging Peter (Welch) to run for governor. I would have been very happy to support him. He chose a different path," Racine said. Racine said Smith and Dunne have been making calls to line up Democratic supporters, which adds some urgency to making a decision of his own But, he argued, "I think my name recognition is as good as theirs or better. I don't think anybody is going to box anybody out." Former state senator Peter Galbraith of Townsend said he would have supported Welch if the congressman had run for governor and is considering running himself, depending on who else jumps in. "It's a question of whether there's going to be a genuinely progressive candidate," he said. Galbraith said he wants someone who would push for a higher minimum wage and not support state subsidies for large corporations, such as IBM and its successor GlobalFoundries. He said he does not consider the candidates who've emerged as the most likely to run — Smith and Dunne — to fit that bill. "I think well of Shap Smith," he said, but added, "obviously, he was speaker and controlled the agenda in the House." Transportation Secretary Sue Minter, who has also expressed interest, did not return a call seeking comment.